The paperback edition includes new material based on sources made available after the hardback’s publication in 2014. To look at the partisan polarization that paralyzes Washington today is to see what first took shape with the presidential election of 1968. This book explains why. Urban riots and the Tet Offensive, the assassinations of Martin Luther King, Jr. and Robert F. Kennedy, the politics of outrage and race—all pointed to a reordering of party coalitions, of groups and regions, a hardening and widening of an ideological divide—and to the historical importance of the 1968 election as a watershed event. Resilient America captures this extraordinary time in all its drama—the personalities, the politics, the parties, the events and the circumstances, from the shadow of 1964 through the primaries to the general election that pitted Richard Nixon against Hubert Humphrey, with George Wallace and Eugene McCarthy as the interlopers. Where most accounts of this pivotal year—and the decade that followed—emphasize the coming apart of the nation, this book focuses on the fact that because of measures taken after the election the country actually held together. An esteemed scholar of the American presidency, Michael Nelson turns our attention to how, in spite of increasing (and increasingly vehement) differences, the parties of the time managed to make divided government work. 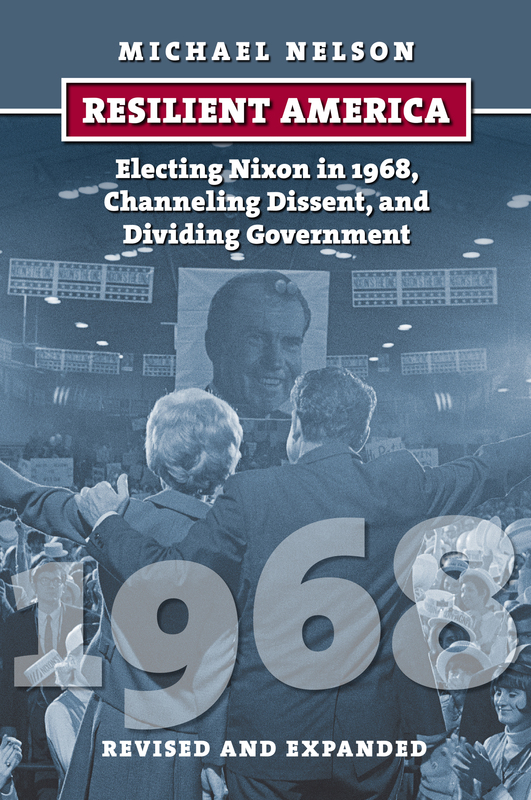 Conventional political processes—peaceful demonstrations, congressional legislation, executive initiatives, Supreme Court decisions, party reforms, and presidential politics—were flexible enough to absorb most of the dissent that tore America deeply in 1968 and might otherwise have torn it apart. This fraught time, as Nelsons work clearly demonstrates, produced unity as well as results well worth noting in our current predicament. Michael Nelson, the Fulmer Professor of Political Science at Rhodes College, is a Fellow of Southern Methodist University's Center for Presidential History and a Senior Fellow at the University of Virginia's Miller Center. He is the author of numerous books, including, most recently, The American Presidency: Origins and Development, 1776-2011, with Sidney M. Milkis, and How the South Joined the Gambling Nation: The Politics of State Policy Innovation, with John L. Mason, winner of the 2009 V. O. Key Award for Outstanding Book on Southern Politics from the Southern Political Science Association.